Aside the fact that they are on opposite ends of our planet, the difference between the Arctic and Antarctica is quite substantial. The most fundamental one, by which all others evolved, is that Antarctica is a bona fide continent – it is an ice-covered landmass surrounded by water as far as the eye can see – whereas the Arctic is a colossal ice field, under which flows the Arctic Sea. 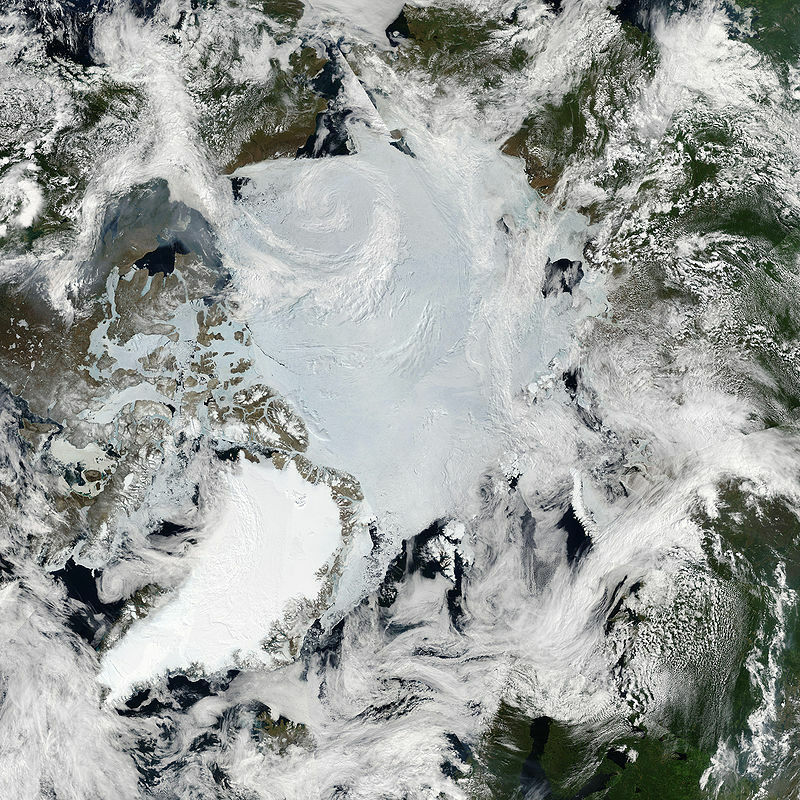 In effect, the Arctic itself is a massive frozen chunk of sea, although the Arctic Region covers a much wider area. Believe it or not, there is a noticeable difference between freezing cold and freezing-freezing cold. Apparently. On average, winters in Antarctica can reach an eye-watering -62 °C, whilst in the Arctic region, you could enjoy much more reasonable temps of -43 °C! Summer is actually when one notices the biggest difference, with the North Pole recording almost tropical temps of +5°C, whilst the South Pole still boasts -13.5°C at the height of the tourist season in the Antarctic Circle. If all of these stats are making you reach for the duvet, spare a thought for the scientists who were working at their Russian South Pole base in July 1983, which is when the coldest temps ever recorded on earth were felt. It was -89.2°C. Feel free to put the kettle on now. 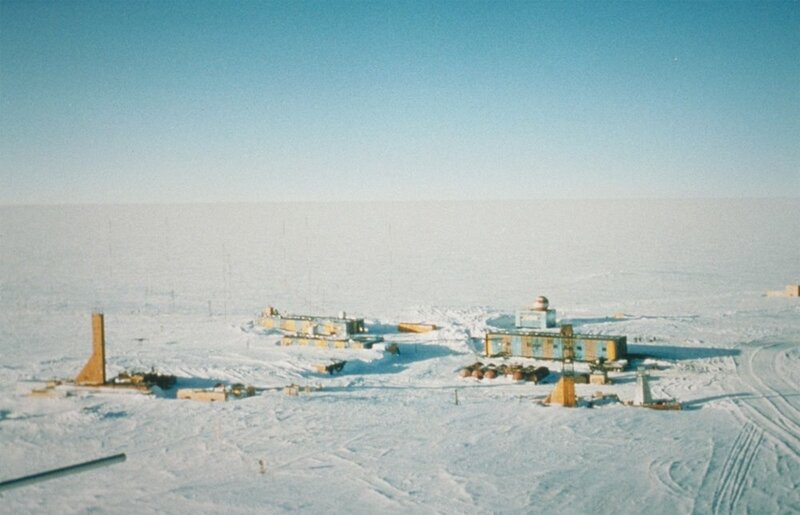 Vostok Station at the South Pole, not your average holiday destination. Photo credit: Pixabay. Another difference between the Arctic and Antarctica is that Antarctica is devoid of large land animals. 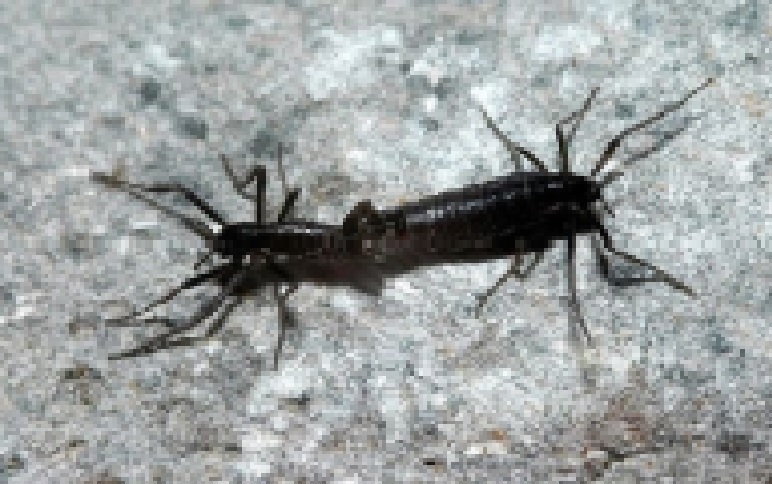 The largest land creature in our southernmost continent is the Belgica antartica, a tiny wingless fly that measures only 2mm in length. The poor critter never lives long enough to get anywhere (it basically freezes solid in winter and thaws out in summer) so it’s endemic to Antarctica. Any winged insect with grandiose intentions of immigration would be kept well away by all the winds. Belgica Antarctica, a resilient little fella. Photo credit: Tasteofcrayons. Of course, Antarctica is home to a plethora of hardy animals who also live on land but are primarily at home in the sea, such as seals and penguins, as well as large birds who can take on the winds, like albatrosses and petrels. 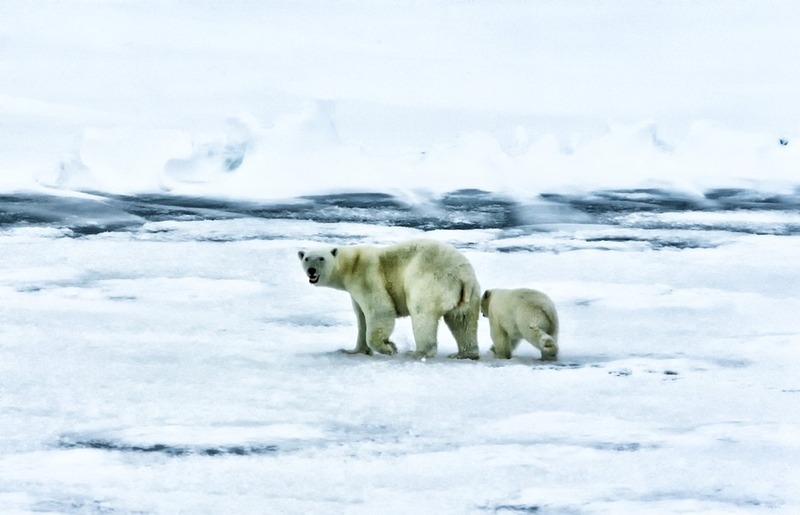 In the Arctic region, however, large land animals abound, so you’ll see plenty of reindeer, ox, fox, seals, walruses and, of course, polar bears. Experts believe that many moons ago, brown bears simply walked onto the Arctic ice fields, found it an idyllic place to live, and never left. For obvious reasons, no bears (or other solely terrestrial animal) made it overland to Antarctica. 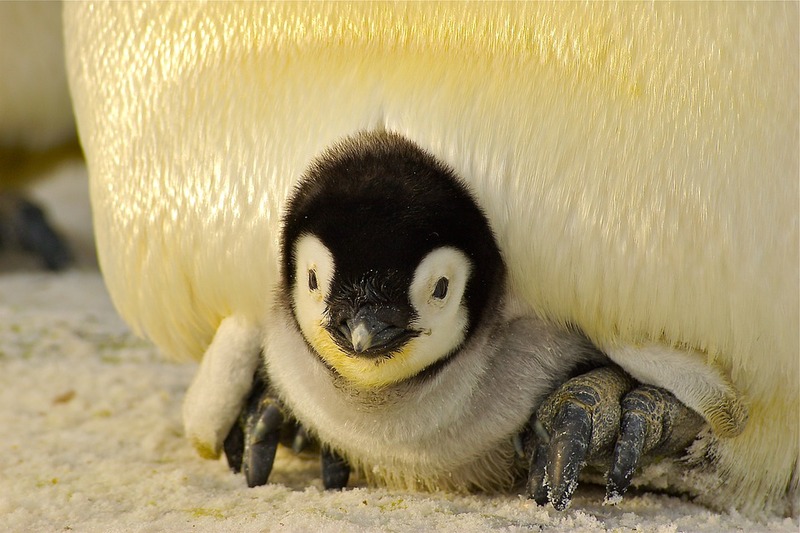 Penguin chick. Photo credit: Pixabay. Antarctica is 99% ice-covered ice so no flora can truly flourish. This is arguably one of the many reasons why Antarctica is unlike any other place on earth. In contrast, the Arctic boasts a tundra based on permafrost, where many species (over 1,500) of flowering plants, shrubs and grass can grow well. The tundra is what attracts all the herbivore creatures in summer, and in the southern reaches of the region you’ll find flora covering almost 90% of the landmass. Antarctica, a land of rock and ice. Photo credit: Pixabay. Despite the many celebrated explorers of Antarctica, this is still the only continent on earth that belongs to no one in particular, and stringent international treaties are in place to guarantee its preservation as a no man’s land. Various countries have research bases here, yet none have outright land rights. So in essence, you can’t buy what can’t be sold! Moreover, despite the numerous research and scientific bases set up, there are no permanent residents, only seasonal workers. About 1,000 people brave the winter in various bases, whilst in summer the population booms to about 45,000. The most populated base on Antarctica is McMurdo Station. 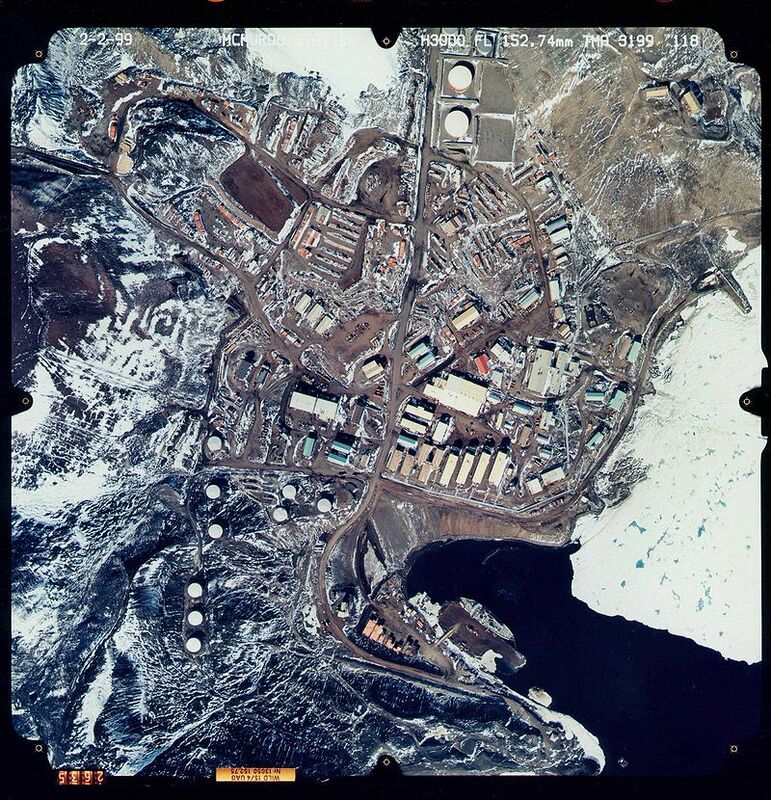 McMurdo Station from above. Photo credit: Image Source. As far as experts can tell, there has never been any human habitation in Antarctica, whereas the Arctic Region is home to various resilient communities, of which the Inuit are the most well-known. The Russian slice of the Arctic is home to about 16 indigenous groups, there are three main groups in Canada, and both Greenland and Alaska’s Arctic inhabitants make up about 70% of the population. Although a natural melting occurs of almost half the ice in summer, more and more surface area of the Arctic is now no longer re-freezing in winter, this is another difference between the Arctic and Antarctica as, Antarctica is a hard nut to crack and although some signs of melting increases have been recorded, the situation there is not nearly as dramatic and the ice shelf seems to be maintaining its size throughout the year, if not increasing. This is despite the fact that the ozone layer above Antarctica is thinning at a faster rate than it is in the Arctic region. The so-called ‘hole in the ozone’ above Antarctica (which is not a hole per se, but just a thinner layer) is as big as the USA yet up in the Arctic, the warmer temps prevent the mass formation of polar stratospheric clouds, which are ozone-destroying. 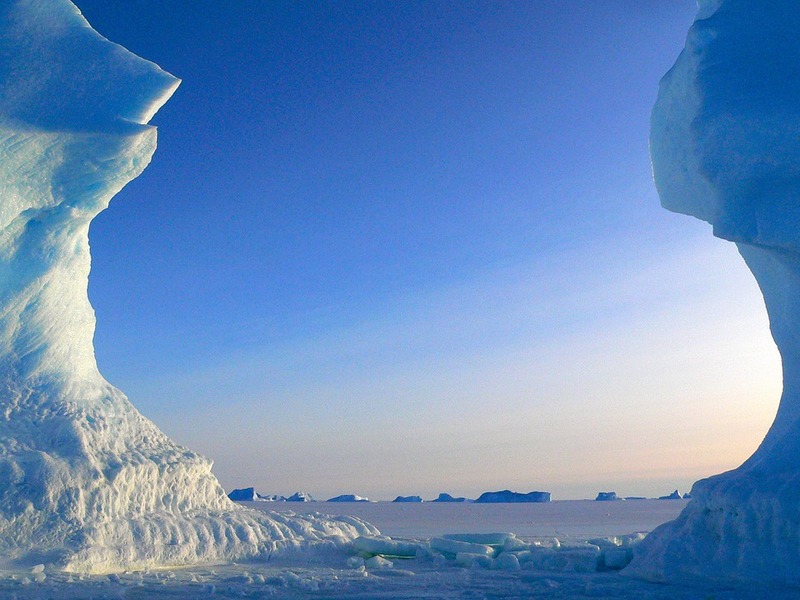 Antarctic ice is not going anywhere, for now. Photo credit: PIxabay. Not such great news for the Arctic region, but estimates hint that a gargantuan amount of crude oil lies in deposits under its ice shelf. Russia is already busy claiming a huge chunk of the area and the US is trailing close behind. Luckily, Antarctica is blessed with stringent ‘no mining’ laws and bases are only allowed to conduct studies for environmental and scientific reasons. However, it is widely believed that it too hides vast deposits of oil, so maintaining the status quo of preservation is absolutely essential, lest we drill ourselves into oblivion. Polar bear mama and cub in the Arctic. Photo by Pixabay. Being the landmass it is, Antarctica boasts a kaleidoscope of rich mineral deposits, including gold, nickel, iron, silver and platinum. The Arctic ice, of course, holds no such deposits. Another difference between the Arctic and Antarctica is that Antarctica’s ice deposits equate to about three-quarters of all the planet’s fresh water supply, whereas the Arctic doesn’t have nearly as much ice. What’s more, whilst the Arctic ice is declining, the Antarctic ice cover has increased in recent years. A Saudi Prince by the name of Mohammed-al-Faisal once had the genial idea of cutting off an iceberg in Antarctica and towing it back home. It seems everyone wants a piece of this incredible place! Just wrap some rope around it and tow it home? That’ll surely work… Photo credit: Pixabay. 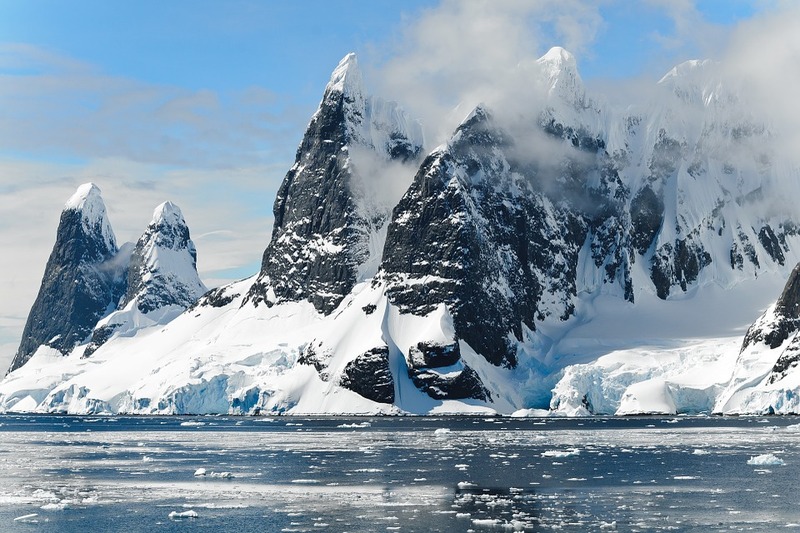 If you’re a fact-junkie, you may want to read more Super Cool Facts About Antarctica. 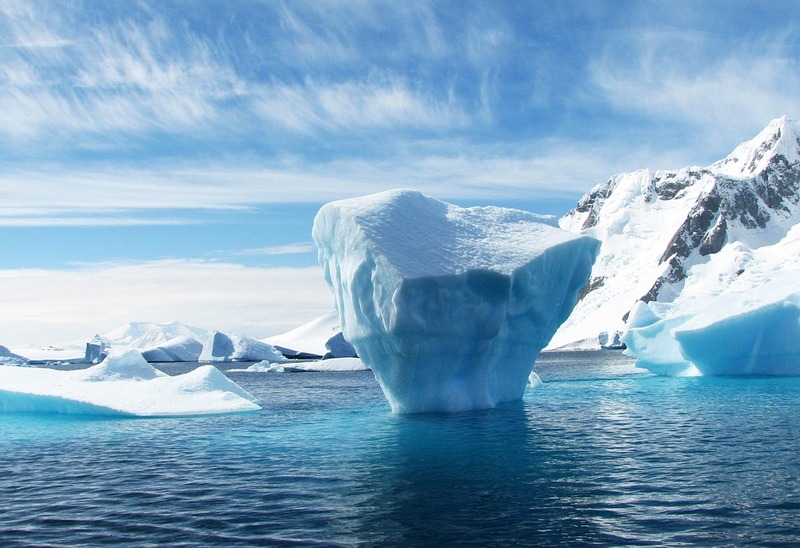 Did you enjoy reading about difference between the Arctic and Antarctica? Make yourself ready for the adventure of your life in one of the most magnificent places on earth and join one of our South Georgia and Antarctica cruises and come discover for yourself how hypnotizing and awe-inspiring this incredible land of ice can really be. Cruise the Arctic like never before aboard the newly refurbished Ocean Atlantic. This Exclusive Chimu voyage departs on the 23 June 2019.